Our breakfast menu includes fruit juices, a range of cereals and porridge, fruit salad, full cooked breakfast, smoked salmon, kippers, cold meats and cheeses, omelettes, and croissants or pain au chocolate. 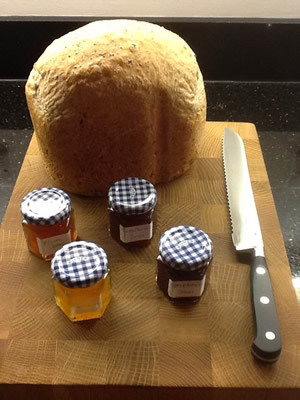 All our bread is home baked, the yoghurt is homemade and most of the preserves are home made. We hold an Isle of Man tourist board breakfast award.